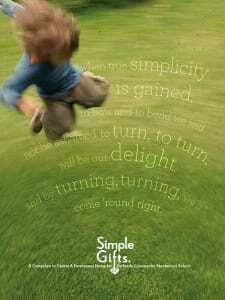 Thank you for considering a gift to our Simple Gifts Campaign. You have many options for how you can make a gift. 1. Make a one time gift by check, credit card, or stock transfer. You can easily make a one-time donation or recurring payments through our website. By giving a gift of appreciated stock directly to Parkside, you avoid paying capital gains tax on the increase in value, and you receive a tax deduction for the full fair market value. If you’d like to donate shares of stock, please see all the details here in our Stock Transfer Info Sheet and/or contact Cathy David at (512) 472-2559 or [email protected]. *Are you eligible for a matching gift? Many employers will match your charitable gift. Check with your Human Resources department to see if your gift is eligible to be matched. You don’t have to make a payment today, but please let us know of your interest and future pledge. To do so, fill out this Letter of Intent and return it to Parkside. Your gift to Parkside’s capital campaign can be paid in installments over three years, as outlined in our Pledge Fulfillment Schedule. We created a beautiful case statement sharing our vision for the new Parkside campus and our future there. To learn more about the Simple Gifts Capital Campaign and Parkside’s dream, you can read through our case statement here. Thank you to all who have given to date! We are so grateful to all of the friends and family who have supported the campaign to date. View our supporters to date.